After the recent court ruling that Dr. Dish’s licence was not cancelled, Techzim has been informed that Kwese TV will be back on air any time now, with the latest being tomorrow, Saturday 9 September 2017. 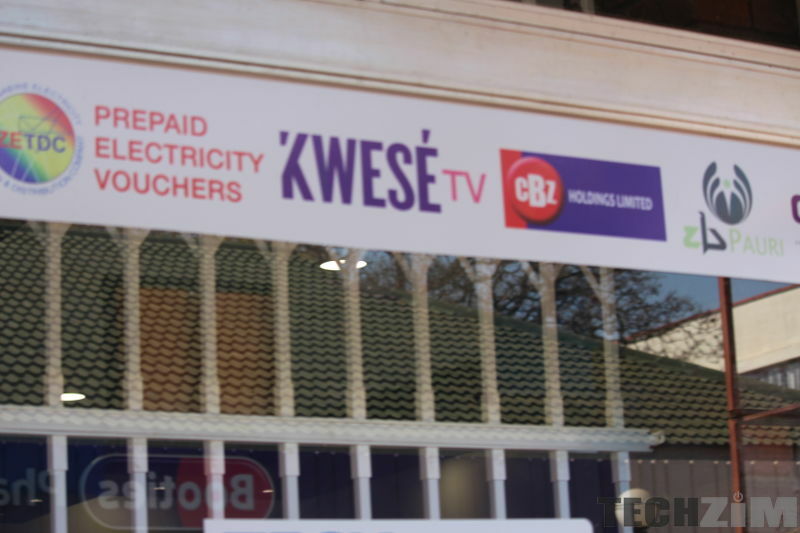 At launch a few weeks back, Kwese TV was available from Econet outlets dotted around the country, though independent distributors were being invited to sign up. Techzim is not sure what will happen to the claimed “over 24,000 registered customers” who already paid, and were refunded, whether they’ll get the first month free or if they’ll have to pay again to be re-connected. We’ll update once we have the details on that. What we do know is that the “1,635 jobs that were created because of Kwese TV coming to Zimbabwe” will be excited about this new development. Here is how to get a Kwese Decoder. Want to know what goes on when buying and selling shares? Kwese tv our own brand..? Aren’t they rushing to introduce service. The last I heard was that Dr Dish had not paid its license in years. What is going to happen with regards to that issue? If you read the court ruling article, it shows that $434k was paid to settle the licence fees arrears and then some. The war isn’t over, the matter will still go to trial and will be heard on merits. According to the Broadcasting Act, BAZ only issues licences when applicants respond to a public invitation to apply for said licence. BAZ has not sent out an invitation for applications in a while. So until such a time as that is done, Kwese has to partner with a holder of a Content Distribution licence for now. FYI, Skynet (Multichoice Zimbabwe) is in partnership with Transmedia Zimbabwe; Transmedia are the holders of the Content Distribution Licence. Sadly, Transmedia is a GoZ entity and is part of the original ZBC Corp before it split – in a sense – into ZTV, BAZ and Transmedia. Therefore, the regulator is also a player in the broadcasting industry, so it’s no wonder they fought to keep out Kwese competition by frustrating Dr. Dish. Please help..Does kwese show all epl matches or only one a week? Woow welcome kwese ndafara chose. Its good that we have a Zimbabwean company offering a quality service at low prices. This is very much in line with the indigenous policies the government is pursuing. Kwese will definitely thrill the Zimbabwean market. @nyasha Technically, econet media is based in Mauritius… the founder is Zimbabwean. They had to launch from outside because of the hostile reception they always receive from Pharaoh. Even Econet Holdings is now based outside because of the same reason. At least our problems are half solved, Multichoice Zimbabwe yanga yakuonererwa now it has a competitor.